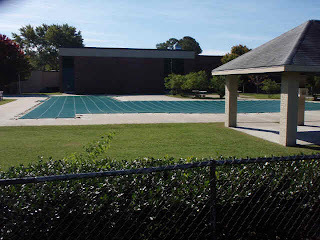 Tarps Plus Blog: Pool Tarps Will Save You Money! Are you just tired of having to absolutely invest so much money into getting your pool cleaned and keeping it cleaned? Pool expenses can seriously get bad at times, specially when the kids invite all the neighborhood and school friends. The costs of pool cleaning can definitely change with the purchase of a pool tarp with an average cost of $30-$40 depending on the size of your pool. This tarp can keep your pool from getting dirt and trash from going into it by placing the tarp over the pool when it is not being used. This method alone with work great in keeping your pool clean. It will keep the rain, leafs, whatever the wind may bring out of your pool. This will at least save you 2-3 times of services. Try it now, all these tarps are waterproof, mildew proof, and they all have grommets around the tarp to safely secure the tarp. Velcro can be added all throughout the tarp to very securely and tightly stay to the ground to keep that pool covered. Check out all the sizes available now at www.Tarpsplus.com. This seriously is not only great for saving on cleaning the pool but my 2 year old ran outside while I was in the restroom and if that tarp wasn't there it would not have been good. This is also great for keeping children safe outside not in the pool. I highly suggest this method.-Tracy B.